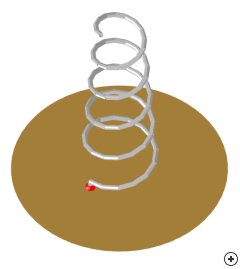 Image of the Conical helix antenna. 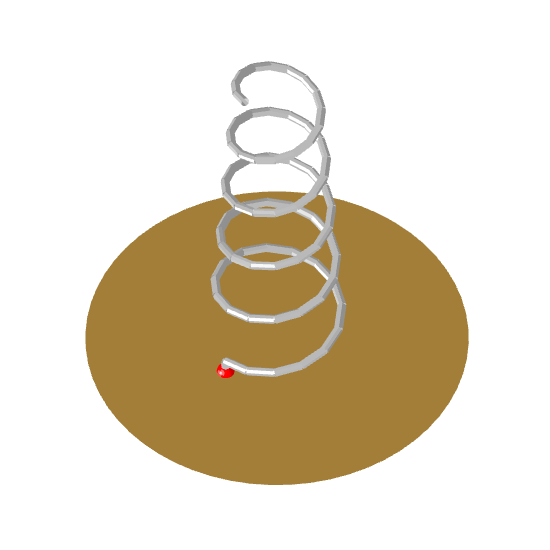 The Conical wire helix can be compared with the Uniform and End tapered helix antennas that are already in Antenna Magus 1.4.0. 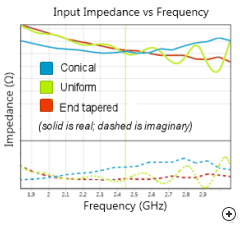 The graph below compares the impedance calculations for all three of these antennas. It is clear that the conical helix is more constant over the whole frequency band. The linear variation of its diameter along the entire length of the helix results in an improved axial ratio especially when compared with the Uniform end fire helix at higher frequencies. The Conical provides a wider gain bandwidth and although it is a bit harder to fabricate than a typical Uniform helix, it is definitely an option worth considering - especially now that Antenna Magus will do the design for you! 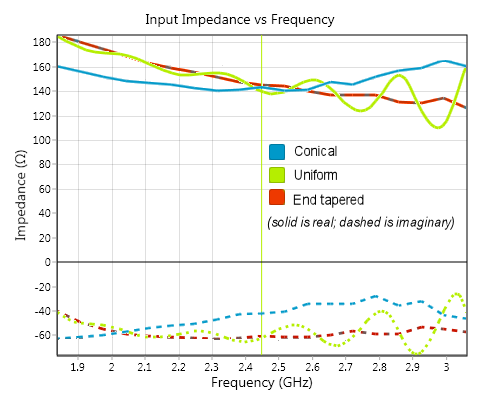 Comparison of the input impedances of three different types of helix antennas.